Although Halloween has a few more months to wait, it’s never too early to find the best costume for the party. And, if you don’t have the time to go through the entire process on your own, we hope that our following selection of cool, scary, and affordable zombie costumes will help you pick the right item. Even if the zombie apocalypse is not really your thing, there are still plenty of fun and authentic costumes that can help you win the “best-dressed award” on any masked ball or themed party. This full face mask of Darth Vader is not only suitable for Halloween parties, but will also make a great addition to the collection of any Star Wars fan. It’s made of 100% plastic so it’s not as heavy as the original one, but it still looks exactly the same. It features a back closure so you can rest assured the item will stay in place anywhere you go. Moreover, you can hand wash it whenever you feel it’s necessary, meaning you can lend it to your friends or wear it to multiple Star Wars events, movie premieres, and other social gatherings. If you’re a fan of George R.R. Martin’s fictional books, you cannot miss the opportunity to dress like a true White Walker at your next Halloween party. Forget all about regular ghost scary costumes and take your game to the next level with this authentic face mask of a White Walker. The item is made of 100% latex, meaning it’s extremely flexible and lightweight. It is easy to wear and features a small mouth opening so you can breathe and drink normally throughout the night. The mask also comes with nose holes to ensure proper breathing and ventilation. If you’re truly looking to scare off the crowd, this horror clown mask is the perfect addition to your costume. It measures about 14 inches in height and 4 inches in width, meaning it is suitable for teens and adults alike. The mask is made of lightweight foam latex and comes with additional holes that allow you to breathe normally. Some of the mask details include a cigar-chewing figure, a red nose, and a sadistic smile which will certainly scare everyone off. Unfortunately, if you’re allergic to latex, it is best to look for other accessories to complete your horror costume. If you’re a fan of the Marvel Studios and its neverending series of superhero adventures, then you’re most likely familiar with the cute character of Groot from Guardians of the Galaxy. Although not exactly suitable for completing creepy Halloween alien costumes, this mask will definitely make a good impression and will help you blend in with other Marvel enthusiasts. The product is made of 100% polyester and it’s easy to put on and to take off. Complete the look with a T-shirt that says the character’s famous line, “I Am Groot” and you’re ready to enjoy the night. This full mask in the shape of Master Yoda is suitable for all Star Wars fans. The witty character is extremely popular amongst kids and adults alike. This mask is made of 100% latex and is extremely easy to put on and take off. The one-size model will fit most teenagers and adults. The product can be easily cleaned using a damp cloth and, if you want to keep it fresh and dry, all you have to do is dust some talcum powder inside it before wearing it. The powder will absorb all the moisture and will also allow you to put the mask easier, without stretching it too much. If superheroes and zombies are not amongst your favorite characters, perhaps a mythological creature like a werewolf is better for you. Wear the mask to future Halloween parties or at any event that implies costumes. The product is made of 100% polyurethane and is easy to put on and to take off. It’s mainly designed for adult heads, so make sure you purchase the right size for you. What we really liked about this item is that when you open your mouth, the mask mouth opens too. In addition, the product comes with self-adhesive foam blocks that allow you to adjust the mask according to your own requirements. Put on your Batman mask as Gotham needs you to save it! This cool mask is perfect for costume parties and all other superhero gatherings. The item is made of a soft leather-look material that is extremely comfortable to wear and won’t sweat too much. The injection molded frame will provide a realistic look that can help you switch from Bruce Wayne to Batman in a matter of seconds. The item is breathable and covers half of your face, providing you maximum freedom of movement on your face area. Put on your cap and your accessory belt and off to your Batmobile for a night of fighting crime! If you love Halloween and you want to make a great impression on your friends when you go meet up with them to have a party, you need a cool costume, and above all, a cool mask. Halloween parties allow you to be whoever and whatever you want for a night, so you must choose carefully. After all, you don’t want to get stuck with wearing the same boring thing as other people. With the Halloween approaching, you most probably find yourself overwhelmed with the plethora of possibilities offered by sellers. Consider starting to shop in advance, so that you don’t find yourself without the right mask on the eve of the party. 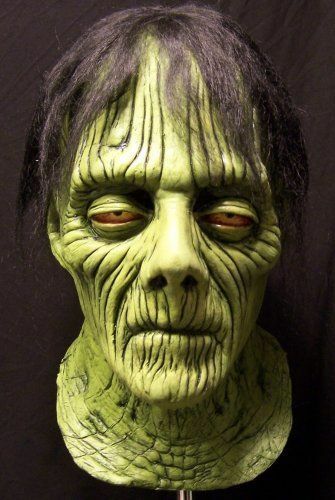 We know how tough it can be to find awesome Halloween masks when you are pressed for time. However, we also know that the perfect mask for everyone is just around the corner, and you only need a few ideas to get you started. This buying guide focuses on providing you with all the information you seek for getting a Halloween mask that will impress all your friends. Whether you want your mask to be a great conversation starter or just a cool thing to draw attention, we have you covered. Certain things are important when you are shopping for a Halloween mask. While you may want it to be creepy, you cannot ignore the importance of the mask being comfortable, too. If you don’t want to end up trying to adjust the mask on your head, or just wiping the sweat from your face all the time, you certainly need the mask to be comfortable. Now here are some ideas to get you started. No matter how many cool Halloween masks you see, there is one thing that you should never overlook. You have to purchase a mask that is the right size. A mask that is too small for your face will look funny, but not in that funny way that will make people laugh. Such a mask can make you feel completely out of place, and you will spend the entire party trying to adjust it, instead of having fun. You also need to keep in mind the wearer’s age. If you are only interested in purchasing a Halloween mask for your kid, you must buy a mask that is a good fit for children their age. 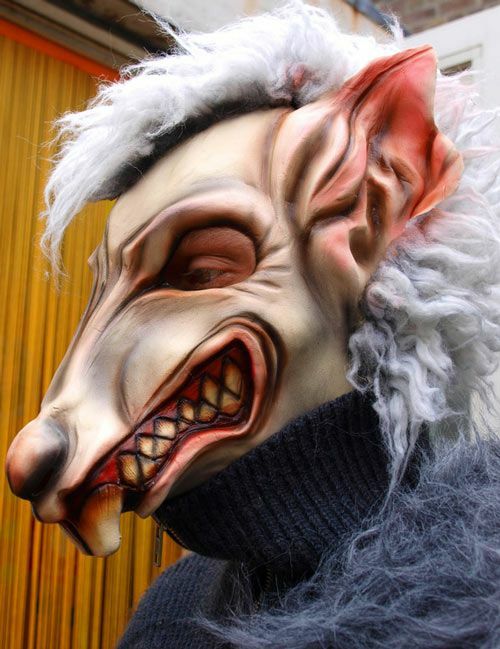 Kids love wearing creepy masks, but it is just too much to ask from them to prefer comfort over the creepiness factor. As a parent, such things are on your list of priorities. In case you are shopping for scary Halloween masks for adults, you may feel like there is more leeway regarding size since many masks are easy to adjust. Nonetheless, you should not neglect the importance of a good fit, and you should try different masks, to see how comfortable they are. When it comes to materials, you can have your pick from a large variety of Halloween masks. For instance, latex masks are very popular. You can be an evil character, or impersonate the villain of your choice, and there are plenty of latex masks to choose from. The main advantage of latex is that it costs little, it is soft and comfortable and also easy to paint over. Don’t forget that latex, on the other hand, can make your head feel very hot. If you are a bit claustrophobic, you won’t appreciate the sensation of suffocation that you may experience. One thing to take care of is to see if the holes made for the eyes are large enough so that they don’t hinder your eyesight. Last, but not least, if you are allergic to latex, skip this type of mask. A better choice would be silicone. This material is better tolerated by people with sensitive skin, and it is malleable, quickly taking the shape of your face. Still, you must keep in mind that silicone masks can get hot inside, just as latex masks, and that is a major argument against them. Another option at your disposal is plastic. You can choose from hard plastics or soft plastics. Masks made from this material are very inexpensive and also very durable. However, they are not particularly comfortable, and the plastic may end up scratching your face. Soft plastics are a better alternative and seeing that you are only going to wear the mask for one night, that may be something you will be able to deal with. If comfort is paramount for you, go for a fabric mask. The materials let the skin breathe, so you won’t experience the same unpleasantness as when wearing latex or silicone masks. Fabric masks are more comfortable than those made of plastic, as well. You can choose between different styles when it comes to a Halloween mask. A full head mask will cover your head entirely, and these are usually made from rubber, latex or silicone. Such a mask is typically tied at the back with a piece of cloth. Covering only your face or your eyes is another option to consider. Tied with strings or elastics that go around the back of your head, this style is pretty comfortable to wear. A headdress is another option available for sale. If covering your face is not your thing, even on Halloween, donning a hat to get in character is an option you should try. Masquerade masks, covering only the upper part of the face, are a well-known favorite, as well. No matter what Halloween mask you want to wear, always start with an idea. Do you want to be a wizard or would you rather be an anime character? With so many cute Halloween masks available, you may feel like you have too many choices. Instead of fretting over how overwhelmed you feel, start by thinking what you would like to be this Halloween. Seeing that the possibilities are endless, design your character and dress up for the occasion. Choosing the right mask will just get you closer to the goal.